Finally some new material in the Interior section! Our bedroom is more-or-less finished, however we’re still missing a bed frame. It’s so hard to decide which one to pick! That’s why I decided to browse around on Pinterest and check out some cool examples. 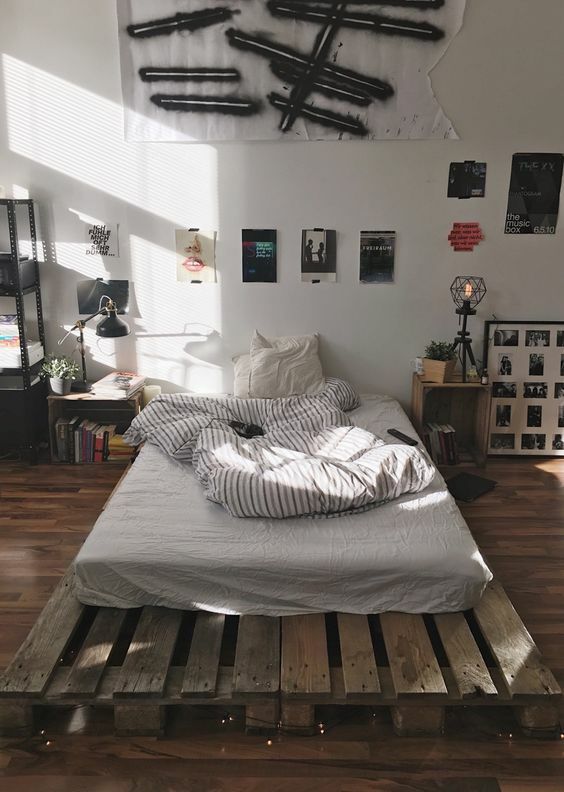 Our very first idea was to use wooden pallets to build a ‘bed’ and complete this with a mattress on top. An example of it can be found on the second picture below. When you’re having a decent mattress, this idea is non-expensive and still very cozy. We found our mattress at Emma. It’s a German brand, where they think ‘quality is key‘ and that’s for sure what they deliver. You can easily order the mattress online, test it and send it back if needed. Send back a mattress? Yes, indeed! You have up until 100 to find out if the ordered mattress is your ‘thing’. Otherwise you may send it back! 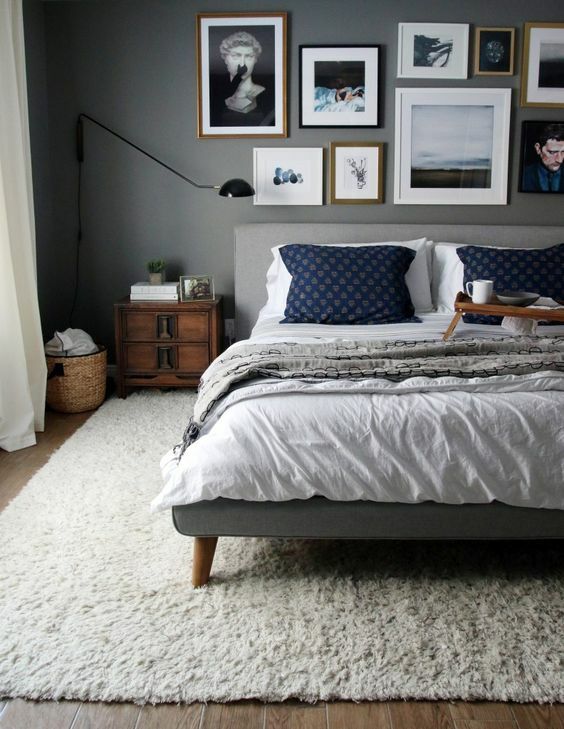 Wanna give your bedroom that ‘mancave’ image, but still look cosy? 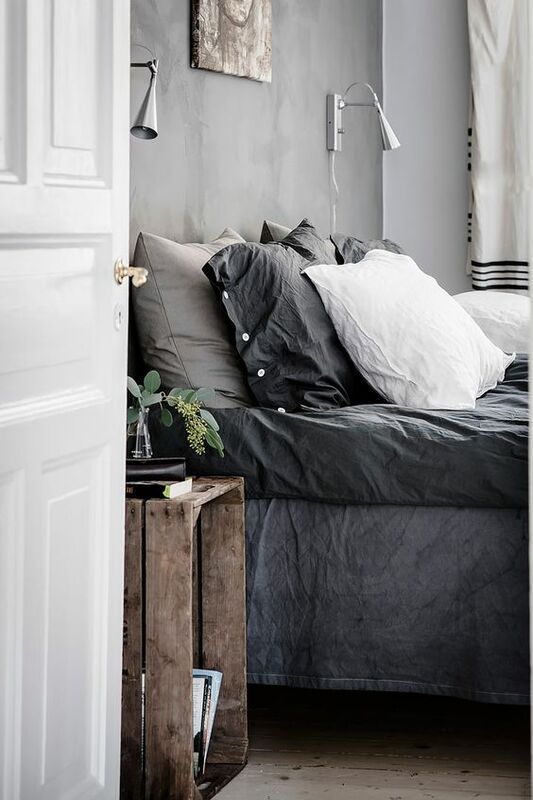 Go for dark tones, like grey, black, brown or beige. Wooded boxes can give it a robust feeling and adding some plants like cactuses will add some green to the room. Black, gold or white frames will let the room look more decorated. If you’re looking for some inspirational ideas, take a look on the Desenio website. Previous Post What to do in Cartagena? Next Post Sale Just Started!